In 1849, Rev. Fr. James Carry, an Irish priest who was appointed as a chaplain in Poona drew up plans to erect a new chapel. Today, that structure is the magnificent St. Patrick’s Cathedral – an iconic landmark in the city. 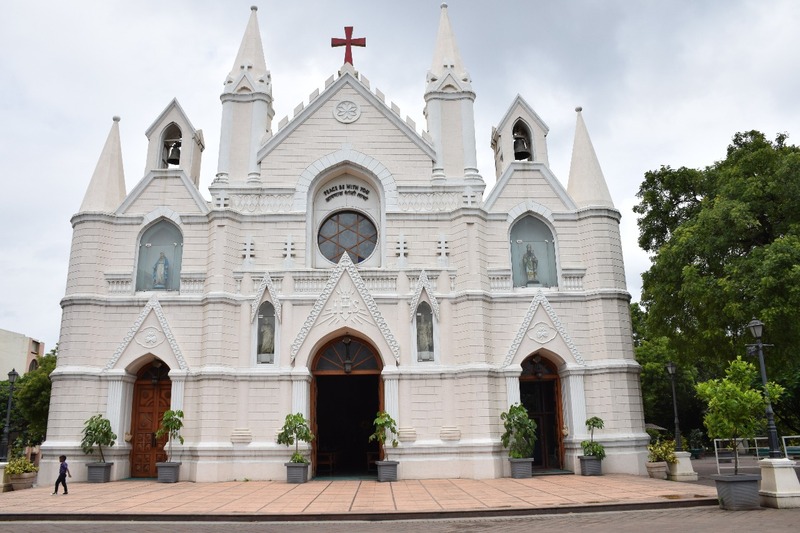 The 160 year old Cathedral has been the pillar of the Catholic community in Pune and continues to draw people to worship and renew their faith. At the Cathedral: 6:00 a.m., 7:15 a.m., 8:30 a.m., 9:45 a.m., 11:00 a.m. and 6:00 p.m.
Military Chapel, Wanowrie: 6:45 a.m.
Catechism Class: 8:30 a.m. to 9:30 a.m.
RCIA meeting: 9:45 a.m. to 11:00 a.m.